Little Bluebell: Today's Mission: Quilt! Somebody kick me in the bootie and tell me to get quilting already! I keep putting it off. At least I marked my lines last night. I don't always use painters tape, but this time it seemed like the perfect tool. This is for the Madrona Road Challenge. Cute donkey is going on the back and the herringbone print will be the binding. Sweet! I've made good progress on my other quilt too. Wanna see?? It still needs a good pressing, but I'm waiting until the top is done before I do that. Yes, I'm cutting up a perfectly good piece of white fabric and sewing it back together. My husband thinks I'm nuts. He said in his best Sheryl Crow, "if it makes you happy". And it does. *kick* Just following orders. Love the plus quilt, Adrianne!! Yup, I can see where to quilt *and* pin and then move the line and do it again!! The husbands never get it! Lol. I bought a huge order of fabric last night and he was just shaking his head. I love your crosses! Can't wait to see the final product! LOL! Mine does that too. A friend once said to me, "I'm a fabric collector and I don't have to use it all. I just love it." I love your plus quilt! Are you doing TWO Madrona Road challenges?? I might be doing two... *whistles innocently*. Don't worry the bags aren't due until March. That's like... forever! Hope your quilting is going well. 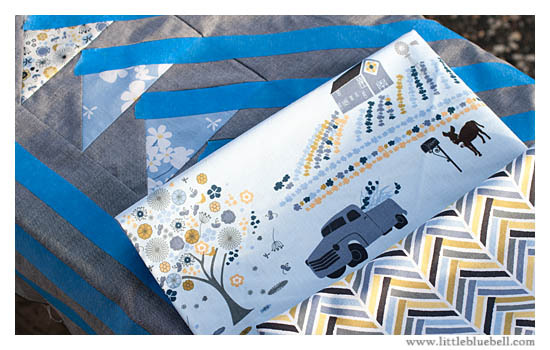 I'm going to make my first ever plus quilt out of the Madrona! Ohhh! Nice pairing. I can't wait to see!! Oh man, I have been there! My first 1/4" foot was terrible. It wasn't very sturdy and the foot would give from side to side. The one that came with my Janome is dreamy! Have you ever tried a stack of post it notes? It works good in a pinch. Good luck gettin' it done! Remember to get up and down and roll your shoulders now and then. your geese on grey is eyecatching! 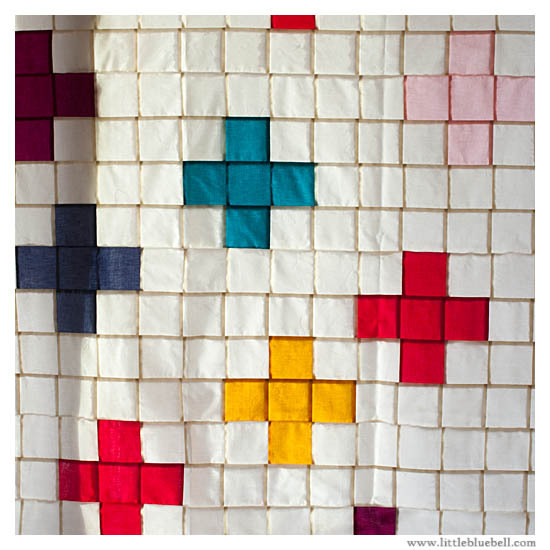 nice way to get a quilting pattern. yes, love those seams! my main goal, to achieve the same seams! Me encantan sus cruces ¿Que color de hilo utilizara para acolchar? Mirar mis telas escondidas mejora cualquier día nublado. Ji ji no tengo foto , mi gata es mas bonita. Estoy usando hilo gris para combinar con la tela de fondo. Su gato es muy bonita! :) <--- I used google translate I hope it says the right thing. Ha ha. I did a cross quilt last month and my husband said the same.